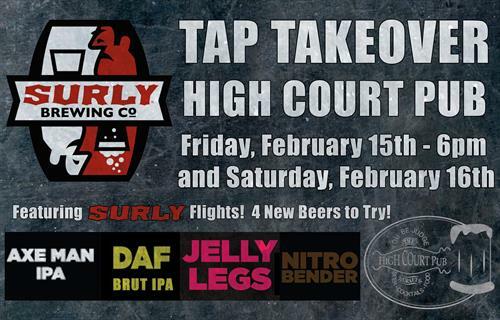 SURLY is taking over the Taps! Four New Beers --try them in a FLIGHT. Live Music with Local Fave Sarah Peterson on Friday Night and Charlie Warner on Saturday Night. Don't let Cabin Fever stand between you and a great time out.